The regulation of commercial transactions through laws of contract. The regulation of commercial entities through laws of agency, company, bankruptcy, and partnership. Markets thrive when they are open and free. When various businesses have the ability to compete with one another, customers and clients have more options and can determine which businesses are provider better and worse goods and services based on their market status. Competition results in higher quality products, lower prices, and an incentive for innovation. Antitrust laws are there to ensure that there is enough competition in the market to allow for these benefits. They help prevent anticompetitive business practices, as well as mergers that could lead to monopolization. Antitrust laws keep companies from engaging in deceptive or unfair practices so as to cut out competitors, and keep companies from unfairly avoiding competition in any way. Antitrust laws are enforced for the benefit of consumers. Since most businesses have an incentive to control as much of the market share as possible, they have a natural incentive to expand as much as possible. Doing so, however, must be done in conformity with antitrust laws. If a business creates an innovative new product, they should have the right to profit from it. Doing so means protecting it from being “intellectually stolen” by a competitor, who would seek to pass it off as their own. Intellectual Property laws are there to ensure that innovators have exclusive rights to their own products and the fruits of their intellectual labor. Intellectual Property laws are also associated with Copyright Law which helps protect the creators of anything from original plays and novels to company identification marks. Ultimately, intellectual Property and Copyright law encourage people to innovate and develop cutting edge products, brands, or artistic works without fear of exploitation, while simultaneously bolstering economic growth. There are many ways in which immigration law overlaps with business law. Companies of all kinds may be tempted to hire workers from other countries, sometimes for full-time work or temporarily. Businesses are required to act in conformity with federal immigration laws. This is an option for people who are simply unable to pay off debt owed by them. This can happen for a number of reasons, including illness, job loss, divorce, foreclosure, and sometimes many of these issues happening at once. When this happens, people need some kind of option available so that they aren’t crippled by the amount of debt that’s piling up. That said, they should still be made to treat their creditors fairly. Generally speaking, there are two kinds of bankruptcy, liquidation and reorganization. 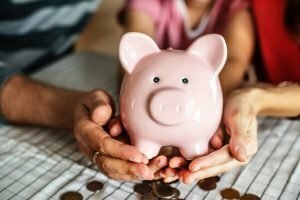 Liquidation (Chapter 7 bankruptcy) – In this case, all debt is eliminated in exchange for the trustee being able to liquidate (in other words, sell) an amount of your property to help pay it back. There are many forms of property for which this applies, as well as many that are protected from liquidation by law. Reorganization (Chapter 13 bankruptcy) – This form of bankruptcy “reorganizes” debt and is generally used for people with high incomes. It allows you to pay creditors the value of various nonexempt assets throughout a 3 to 5 year plan. Almost every business has to deal with contracts at some point. Many times, this is a matter of writing up a contract for a third party vendor to sell a product. There are many laws that apply to contracts, and there are also ways any given business can not only act in conformity with these laws, but also use them to their full advantage during the negotiation of these contracts. There are many laws that determine how companies can sell their product and acquire funds. These regulations can apply to anything from controlling prices to the conditions of the area or factory that is producing these products, to distribution requirements. There are times in which it is illegal to hire or fire someone. Many businesses unknowingly break anti-discrimination laws, and end up with a lawsuit they didn’t expect. There are also laws involving employee disputes, discipline, and other factors involved in maintaining a happy and productive workforce. How companies pay their employees, and the benefits they offer, are of course another factor in business law. The best way of beating a lawsuit is to avoid it in the first place. 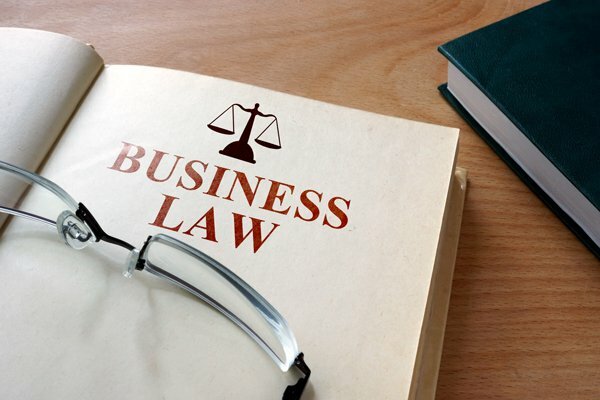 For this reason, many businesses hire business attorneys at the time in which they are making decisions that relate to any of the above areas of business law. The legal landscape is complicated, and the language of the law can be difficult for the layman to understand. That’s the job of the business attorney. They will provide advice and guidance throughout your career to ensure you act in conformity with the law, as well as helping you ultimately benefit from the laws that are in place as much as possible. 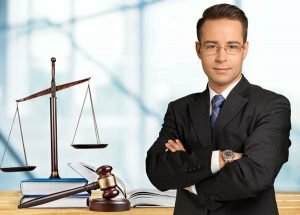 While some businesses only require the services of a business attorney from time to time, many hire full-time attorneys to guide them throughout the course of their career. The size and scope of your business ultimately determines what you should do in this regard. If you are faced with a lawsuit, a business attorney will represent you in court. It is rarely a good idea to attempt to represent yourself or your business in court – this almost never works out. Your business attorney will handle all of the paperwork and negotiate for you during all pre-trial processes. The best outcome is for your attorney to help you settle the case as quickly as possible while getting you the best outcome in terms of settlement. Oftentimes, a business attorney can prevent a case from ever even making it to trial, saving you a lot of time, stress, and money. If the case does end up going to trial, a business attorney will represent you through it, defending your case with the goal of getting you the best possible legal outcome.